Summary: A girl waking up in a restaurant not remembering anything. She keeps seeing a flying person dressed like a jester which only she can see, claiming she's the reason she's having amnesia. Personal comments: So...is this supposed to a reverse harem? I mean, right off the bat, there are five "reverse harem" looking figure showed up to around only female character. 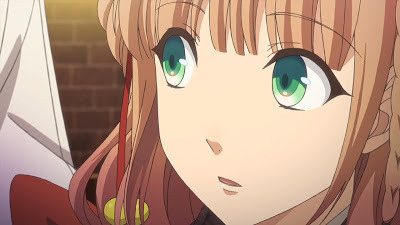 At the moment, as I see it, one major selling point of the series is this amnesia, which nobody, including the character in the story knows what's going on. [Ended] Jormungand Perfect Order: Far-Fetched?